We will try and arm you with some information, and questions to ask, and some paperwork to look for. Is the vehicle on the vehicle import eligibility list? If its not on the list, how is someone claiming that the car is legal? Is the car over 25 years old? If it is, then it is exempt if imported correctly, and in original configuration. Has it been imported under the Show or Display exemption? Then it is DOT/NHTSA exempt, but must meet EPA requirements. If the vehicle is over 25 years old, then it will not have a bond release, but you want to have a copy of the HS7 (NHTSA import form, can be paperless now ), 3520-1 (EPA import form), 7501(Customs Entry Summary or Customs Clearance) and 3461(Entry/Immediate Delivery Document-can be paperless). These pieces of paper are very important, and required by some states to register vehicles. They show the cars entered the country correctly. As always, buyer beware. Do your homework. Legitimate sellers will have paperwork. In addition to the DOT/NHTSA, you also have the EPA, or Environmental Protection agency to satisfy. When the vehicle was imported, a 3520-1 should have been completed. You should at least try and get a copy of the EPA paperwork. Underneath the hood, you should be looking for an EPA compliance sticker, with information on the company that did the compliance. At 21 years old, in its original configuration, a car is legal to import and exempt from EPA requirements. 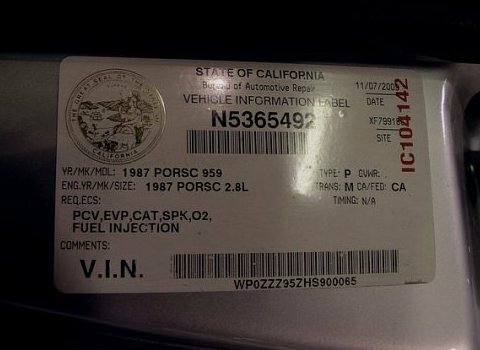 This means that 1989, to 1992 Nissan Skyline GT-R's can be EPA exempt. I recently purchased a 1997 Mercedes G320 SWB from Illinois and I'm bringing it back to California. I was wondering if you could reccomend some places to properly obtain a CARB sticker? I recently purchased a 1997 Mercedes G320 from Illinois and I'm bringing it back to California. I was wondering if you could recommend where to properly obtain a CARB sticker? I know it can be quite costly and I want to make sure I do it at the right place. There are very few places to get CARB approval. The first step is go to the DMV, they will refer you to a smog referee. Thanks Sean. I was wondering, what do the smog referee's do if your car fails? Do they flag it in the system or impound it? Also, what does a smog referee typically cost? They will just flag the car. They don't have the power to impound anything. I'd have to double check ref fees, but they aren't much. What can be a lot is if you have to deal with an emissions lab. 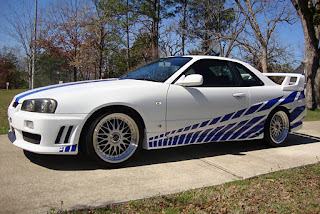 Is it possible to register a 2007 kaizo r34 gtr with tilte? I'm looking at one for sale. I have a question regarding importation but of European cars not Japanese. If the 1995-1996 Porsche 911 is on the NHTSA's non conforming cars list will I have a chance at importing euro spec version successfully without worrying about seizure? If a vehicle is on the list of non-conforming vehicles, eligible for import, then you need an RI to handle the NHTSA work, and an ICI to handle the EPA work. It all depends on the car, but items that often need to be changed are things like headlights, tail lights, side markets, speedometer clusters. On the emissions side, anything required to bring the vehicle up to US specifications. These mods start around $8,000 and can be up to $50,000 for some cars. Is there a legal way to import a 25 year old JDM car from Canada? If so, what is needed (paperwork)? Thanks! Hi Sean, I just purchased and brought over 89 E30 BMW, which was imported to japan and kept there for long time. The importer ( FL based import dealer ) brought it over to US last year from japan and legally registered in FL. now i am trying to register it in CA. I believe that I need to bring it to somewhere to get BAR certification, but can I just bring it to referee station or have to go to " lab" for more extensive test to get it register. Is there a way of getting copies of the paperwork if lost? If the export certificate is lost, next to impossible. The other documents, the customs broker or importer should have copies.